Welcome to the February 23, 2018 edition of ACM TechNews, providing timely information for IT professionals three times a week. 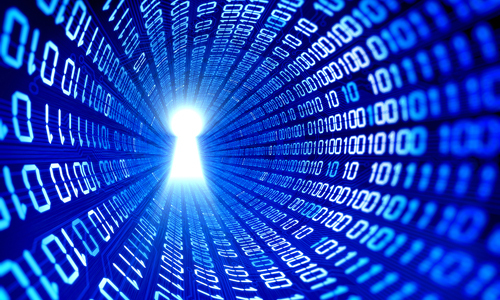 A new quantum key distribution (QKD) method proposed by Chinese researchers employs a quantum state with the potential to encode more than one bit within each photon and significantly accelerate the speed of encrypted messages. A team from Xi'an Jiaotong University and Tsinghua University suggests measuring a photon's orbital angular momentum (OAM) instead of its polarization. They note an OAM-based QKD would encode two bits of the secret key in each photon and higher-order photon OAM states also could be leveraged in later-generation standards that could upgrade the new QKD scheme to support higher throughputs. "My opinion is that in OAM-QKD one needs to work very hard to extract modest [factor-of-two] improvements in data rates," says University of Rochester professor Robert Boyd. "However, no one ever said that engineering is supposed to be easy. Also, a factor-of-two improvement in data rates is a significant improvement in a real data link." Researchers at the University of Southampton in the U.K. say they are developing fault-tolerant robotic swarms using bio-inspired algorithms and machine learning. The team will conduct research designed to create the next generation of robot swarms, to be capable of sustained operation for extended periods of time without human intervention. The researchers note the overall goal of the project is to ensure that robot swarms are able to deal with damages and faults sustained during operations. The Southampton team has proposed that robots move beyond traditional approaches because it is not possible to predict all the scenarios a swarm may encounter while operating in complex environments for extended periods of time. The new approach will enable robots to adopt their behavior to sustained faults within the swarm by learning through trial-and-error. The researchers believe the resulting system of working swarm behavior could result in new applications for long-term deployment. Neuroscientists at the University of Toronto Scarborough (U of T Scarborough) have for the first time digitally reconstructed images of what people perceive based on brain waves recorded via electroencephalogram (EEG). "When we see something, our brain creates a mental percept, which is essentially a mental impression of that thing," says U of T Scarborough's Dan Nemrodov. "We were able to capture this percept using EEG to get a direct illustration of what's happening in the brain during this process." EEG-linked test subjects were displayed images of faces as their brain activity was recorded, and then machine-learning algorithms digitally recreated the images. "EEG captures activity at the millisecond scale, Nemrodov notes. "So we can see with very fine detail how the percept of a face develops in our brain using EEG." The team estimated that it takes the brain about 170 milliseconds to form a good representation of a face. In the last year, the number of U.S. students taking the Advanced Placement (AP) Computer Science exams increased 79 percent, with 103,937 students taking only one of the exams, up from 57,937 students in 2016, according to the College Board. This significant uptick in the number of students taking an AP computer science exam can be attributed to the 2016 launch of the AP Computer Science Principles course. This course focuses on creativity, innovation, and critical thinking and it also appeals to more students because it teaches computing principles that can be applied to interests and career paths beyond those in science, technology, engineering, and math fields. In 2017, 37,395 girls were enrolled in AP Computer Science courses, up from just 13,506 in 2016. Similar trends can be found for Hispanic and Latino students, rising from 6,368 enrolled in 2016 to 14,860 in 2017, while 5,057 African-American students enrolled in 2017 versus 2,049 the year before. 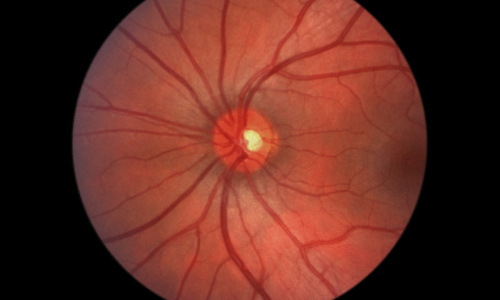 Researchers at Google have developed a new algorithm that can predict heart disease and whether someone has high blood pressure by examining retinal images. To build the algorithm, the researchers used models based on data from 284,335 patients and validated on two independent datasets of 12,026 and 999 patients. The method involves producing a graphical representation of data showing which pixels in an image are the most important for predicting a specific risk factor. Google's Lily Peng says researchers have previously demonstrated a correlation between retinal vessels and the risk of a major cardiovascular episode; Google has tapped retinal images to measure this correlation and predict which patients within five years would suffer a major cardiovascular event, and which would not, with 70-percent accuracy. "We think that the accuracy of this prediction will go up a little bit more as we kind of get more comprehensive data," Peng notes. Researchers at the University of California San Diego (UCSD) and Chonnam National University in Korea have used data mining and computational tools to find a new and inexpensive phosphor material for white light-emitting diodes that yield better color quality than many commercial LEDs. They discovered the material, Sr2LiAlO4 (SLAO), via a systematic, high-throughput computational approach using supercomputers. With this strategy, the UCSD team found the phosphor in only three months, an accelerated time frame compared to the years of trial-and-error experiments it usually takes to discover a new material. The calculations leading to the discovery were conducted with the Extreme Science and Engineering Discovery Environment at the San Diego Supercomputer Center. When a review found a SLAO compound to be nonexistent in any known materials, the researchers used a data-mining algorithm to invent new phosphor candidates with the required elements, and performed first-principles calculations to predict which candidates would perform well as a phosphor. Researchers at the Massachusetts Institute of Technology and Princeton University have developed a "pick-and-place" robot with a standard industrial robotic arm equipped with a custom gripper and suction cup. An "object-agnostic" algorithm enables the machine to evaluate a bin of random objects and ascertain how best to grip or suction onto an item amid the clutter, without knowing anything about the item before picking it up. 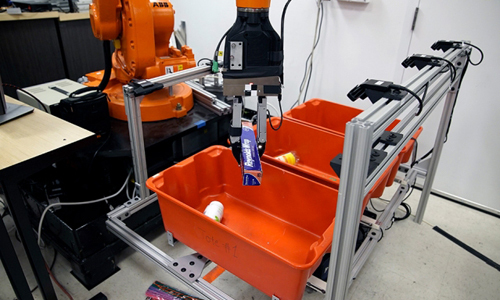 When the robot has grasped and lifted the object, cameras capture images of the item from multiple angles, and an image-matching algorithm lets the robot compare the images of the grasped object with other images to find the closest match, thus identifying the object before stowing it in another bin. The team fed the perception system a library of product images from online sources, labeling each image with the correct identification while another learning algorithm related the pixels in a given image to the correct label for a given object. Over the next five years, F# is expected to become a popular functional programming languages for scientists working on the Windows platform. F#'s projected popularity is attributed to its functionality and the object-oriented and imperative features that enable .NET integration and large-scale data processing. F# is a free and full-fledged programming language, unlike other software with numerical or scientific origins, and it can be used for compilation, debugging, and interactive projects. The language was created by Microsoft to address complex computing problems while producing simple, maintainable code. Elements of F#, along with aspects of C# and Python, are being used as part of a quantum programming language, which will offer a more familiar look to programming quantum computers, say Microsoft developers. Users will still need to use and understand quantum logic gates and their operations, but thanks to the F# components, they will be able to use them to write functions, complete with variables, branches, and other typical constructs. 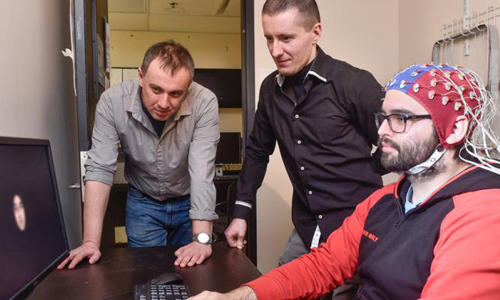 Researchers at Oak Ridge National Laboratory (ORNL) have demonstrated a method for splitting light beams into their frequency modes, enabling them to choose the frequencies they want to work with and encode photons with quantum data. "Under our experimental conditions, we got a factor 10 better than typical error rates," says ORNL's Nicholas Peters. "This establishes our method as a frontrunner for high-dimensional frequency-based quantum information processing." The team notes its technique also stands out by demonstrating the Hadamard gate, one of the fundamental circuits required for universal quantum computing. "Our work uses frequency's main advantage--stability--to get very high fidelity and then do controlled frequency jumping when we want it,” says ORNL's Joseph Lukens. The researchers have experimentally demonstrated that quantum systems can be transformed to yield desired outputs, and they suggest combining their method with existing beam-splitting technology, exploiting the advantages of both to move closer toward frequency-based photonic quantum information processing. Researchers at Harvard University say they have developed noise-robust classifiers that are prepared against the worst case of added additional data that disrupts or skews information the algorithm has already learned, known as noise. The team notes these algorithms have a guaranteed performance across a range of different example cases of noise and perform well in practice. The researchers want to use this new technology to help protect deep neural networks, which are vital for computer vision, speech recognition, and robotics, from cyberattacks. 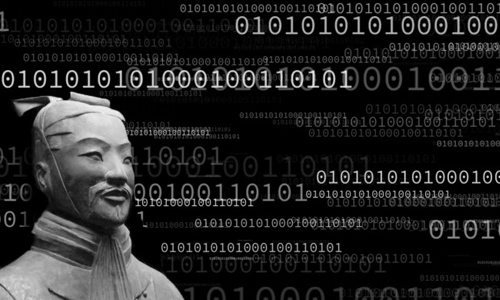 "Since people started to get really enthusiastic about the possibilities of deep learning, there has been a race to the bottom to find ways to fool the machine-learning algorithms," says Harvard professor Yaron Singer. He notes the most effective way to fool a machine-learning algorithm is to introduce specifically tailored noise for whatever classifier is in use, and this "adversarial noise" could wreak havoc on systems that rely on neural networks. Researchers at Waseda University in Japan have developed robotic crystals that walk slowly like an inchworm and roll 20,000 times faster than its walking speed, which could be used as a material for soft microrobots that transport substances at microscopic scales. In 2016, the same group reported chiral azobenzene crystals bend with exposure to light, and undergo phase transition at 145 degrees Celsius without fracturing, even after repeated heating and cooling. Based on these findings, the team designed the crystals demonstrating two different modes of locomotion--walking and rolling. They used an infrared thermography camera and a digital optical microscope to watch thin, long, plate-like crystals with thickness gradient in the longitudinal direction walk slowly through repeated bending and straightening under heating and cooling cycles, moving 1.5 mm in 30 minutes. In an interview, University of Rochester professor Michele Rucci discusses how he has combined neuroscience, engineering, and computer science to explore human vision, using a mix of head- and eye-tracking tools, virtual reality, and robots. "A goal of [my] lab is to apply what we learn from human vision to robotic vision," Rucci notes. He says one project involved replicating human head-eye coordination to acquire information about distance and calibrated artificial neural networks, while another employed similar head/eye strategies to segment an image into meaningful components. Rucci also sees his work as helping to gain insights into the mechanisms of visual disorders. "One of the emerging hypotheses is that abnormal motor control, especially at the scale of small eye movements, might contribute to visual impairments currently believed to be the consequences of abnormal visual processing," he says. "This is something we are starting to study right now with high-acuity visual impairments."